Live instructor led classes accessible from your own desk. Exam-focused courses and enterprise-level management tools to get securities professionals into the workplace faster. Trusted by 7 of the top 10 financial firms for corporate securities training. When you choose Training Consultants, you have the choice of online, live, or textbook formats as well as many additional tools and resources to help you pass fast. Select your series to see to see which products are available. The new structure will require all new representative-level registrants to take two exams instead of one. 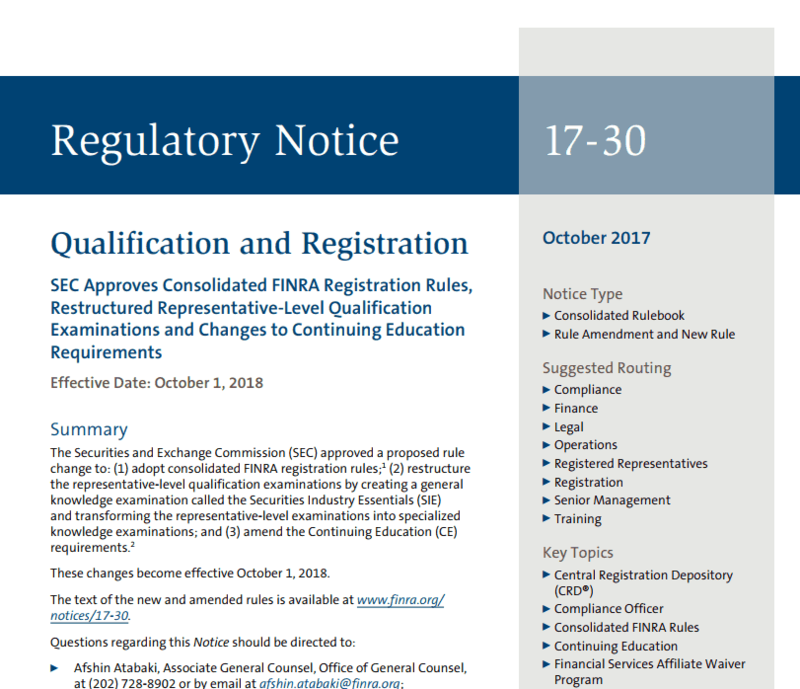 The Securities Industry Essentials (SIE) exam will become a co-requisite for all rep-level registrations. The new SIE exam requirement will go into effect October 1, 2018. For more information on the new SIE exam, "click" the button below.